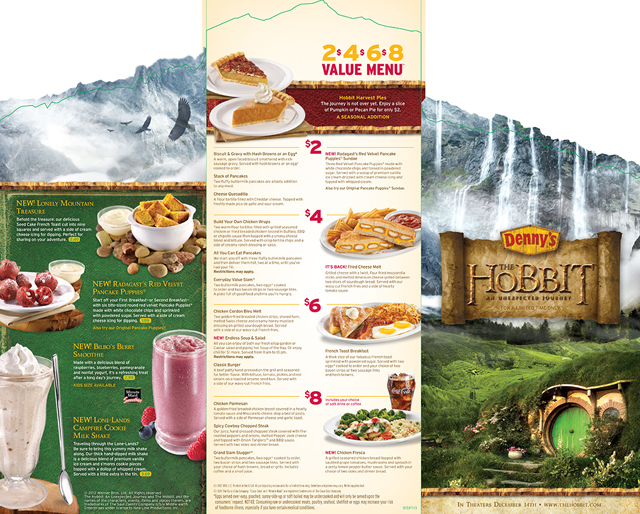 Denny’s family restaurants partnered up with Warner Bros. to create a tasty new Middle-earth menu inspired by and to help promote The Hobbit: An Unexpected Journey film and will be available in restaurants starting on Tuesday, November 6, 2012. 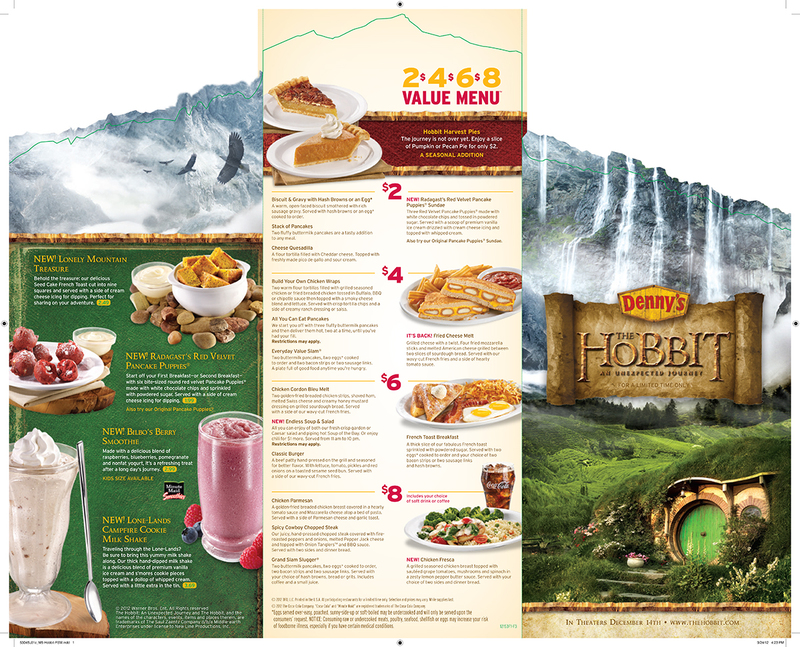 According to Denny’s, you will receive a pack of collectible trading cards that are designed around the film when you order a Hobbit-inspired entree. You can find out more information at the Denny’s official website. The Hobbit: An Unexpected Journey film is due out in theaters on Friday, December 14, 2012.